It really doesn’t have to be this way. Read on to learn how our team of vets recommend treating an ear infection and most importantly, how you can prevent your dog from getting sore ears in the future. First Things First – What is Otitis Externa? Otitis externa is an acute or chronic inflammation of the ear canal. It is the most common ear canal disease in dogs & cats. The term is used to describe clinical symptoms and is not a ‘disease’ itself. It occurs in response to a change in the normal environment of the ear canal which causes the glands lining the canal to enlarge and produce excessive wax. The ear canal becomes thickened and inflamed and this blocks air and fluid flow in and out of the canal. How To Tell if Your Dog Has an Ear Infection? Before we even start discussing treatments or prevention we need to understand the subtle signs that your dog might show that indicate that it may have an infected ear. For many dogs, the signs of sore ears are very subtle. Many dogs are so stoic, it’s not until they have advanced inflammation that many owners notice. Remember, dog ear infections are painful. The sooner you can recognise the pain, the quicker you can act and treat your dog. When you notice any of the signs above, you know your dog will be in a lot of pain and you must get veterinary assistance to not only treat the pain and discomfort, but to work out what the cause of the ear problem is, and how it can be fixed. I can’t think of one case where a dog with an ear problem isn’t painful, so I can’t emphasise this enough. EARS ARE PAINFUL. Even if you aren’t sure, but think there might be a problem, that is enough reason to acknowledge that your pet will be in pain. It is NOT good enough to do absolutely nothing. You must act and you must seek veterinary advice. Dogs with pendulous ears are more prone to ear problems. There are a huge number of reasons that your dog may have sore ears. Not all of them are due to infection and the vast majority are caused by some other underlying problem. So while you might think the problem is just the ears, unfortunately for many dogs this is just not the case. allergies (e.g. atopy, adverse food reaction, environmental). Even ear mites can stimulate an allergic reaction. Remember that anything that contributes to the onset of inflammation can lead to the development of otitis externa such as swimming, using improper abrasive ear cleaners, plucking ears. So you think your pet might have a problem with an inflamed ear? Perhaps you can’t look in their ear without them trying to bite you? Maybe the ear looks red? There might be a smell or discharge. Perhaps it looks black and gooey. What next? Remember how I said ears are painful. Well, They are SOOOOO PAINFUL that you MUST get your dog examined by a vet. ALL dogs with ear inflammation have ear pain and it is not something that can be avoided. Ear pain is like a headache that doesn’t go away. You need to take your dog to see a vet. An inflamed ear with discharge. There is no way to guess what is causing this problem. determine what the underlying cause is for the dog to have infected ears in the first case. This means that we start with diagnosing the problem in the ear itself. We do this by examining the ear. Now, sometimes the dog is so sore that they cannot cope with us doing a full examination of the ear without us giving them sedation or a general anaesthetic. I must stress, it is very important that we don’t make our dogs fearful of their ears being checked. In this case, sedation or general anaesthetic is used to facilitate a thorough exam, collecting samples and cleaning the ear thoroughly. When we examine a dog’s ear we are looking to see the extent of the inflammation, what might be causing it and if the tympanic membrane is intact. Your vet will use an otoscope to look into the ear. This has a magnifying glass that allows us to see parasites and check the patency of the tympanic membrane (eardrum). Examination of a dog’s ear using an otoscope. Your vet will then take a sample from the ear and smear it on a slide. Firstly, we will check for ear mites or any other parasite that might be in the ear discharge. The video below shows what an ear mite looks like. Then we stain the slide with a special dye called gram stain to assess what cells we can see on the slide. We are looking for bacteria, fungi and inflammatory cells. Your vet will look at the slide under the microscope and decide what it is we will need to treat the ear with. Dr Leigh viewing ear cytology under a microscope. Next, the vet will thoroughly cleanse your dog’s ear. Great care is needed during this process so that we don’t make the skin in the ear more sensitive and we don’t rupture the eardrum. When there is a lot of pus and black tarry material in the ear, it can be a very difficult job. The worst thing to do is make the ear even more inflamed and sore. Many of the medications used in an ear are not active when there is a lot of debris, pus or wax in the ear. This is why we need to clean the ear thoroughly before we apply medication. The choice of ear medication that a vet decides to use will be based on the results they see on the ear cytology. Not all ear problems require antibiotics and it is vitally important that we don’t use unnecessary medications otherwise we encourage the development of resistance. A cytology slide showing cells involved in dog with an infected ear. All ear problems are painful so the mainstay of treatment is giving your dog relief of pain. In most situations, the vet will prescribe an ear drop that has an anti-inflammatory agent in it such as prednisone. If your dog is very painful, they may prescribe oral anti-inflammatories as well. Ear drops will likely contain an antibiotic combined with an anti-fungal agent and pain relief agent. The medication that your vet chooses will depend on the result of the cytology. This is why you can’t just rock up and ask for ear medications without a consult and cytology. Vets just don’t know what they are treating! I wish we had a crystal ball, but we don’t. Your vet will send you home with medications to give your dog. It is vitally important to follow all instructions to the letter so that your dog can become pain free and the cause of the pain stops. Most problems occur when people underdose the amount of medication they put in the dog’s ears. Remember – a dog’s ear canal holds about 1ml of fluid. That’s how much you need to put in your dog’s ears to treat the problem. Most bottles say 3-5 drops. THIS IS INCORRECT. Why Does My Vet Want My Dog Back For A Recheck? Remember how I said earlier that we need to treat the sore ears first, THEN we have to find out why the ears are sore in the first place? Well, the reason for this is so that the ear infection doesn’t come back. Go back and take another look at why dogs get sore ears. It’s quite some list. If we fail to work out why your dog is getting sore ears, then your dog will keep getting them. It’s no fun for anyone. This might mean that your vet recommends blood tests or intra-dermal skin testing to check for allergies. They may suggest a treatment trial with an anti-allergy medication. Perhaps they will recommend a food trial. The key is that a recheck is vitally important. The best way to prevent recurring ear infections in dogs is with proper control and management of any underlying disease. For the vast majority of dogs that vets see in clinic, this means treating atopic dermatitis or food allergy problems. However, there are some things you can do at home to make sure your dog isn’t affected by sore ears. cleaning the ears – less is more when it comes to cleaning ears, cleaning too frequently can cause stripping of natural oils. Get your vets advice on how frequent you need to do this. dry the ears after swimming or bathing. Alternatively, use cotton wool to plug your dog’s ears when bathing so that water doesn’t enter the canal. don’t allow anyone to pluck your dog’s ears. This is a BIG NO NO. Your vet may have to pluck the hair when treating, but that is the only time the hair in your dog’s ears should ever be touched. Watch the following video to see dog ear cleaning in action. Do you have problems with your dog’s ears? 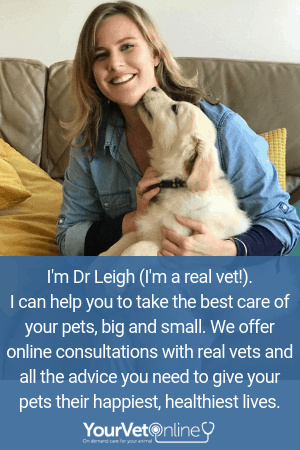 Our vets can always assist you with recommendations. Please note, we cannot prescribe medications for ear treatment as cytology must be performed.